Over the Christmas break, I worked up a picture of XO Manowar. A friend of mine recently got me into the new Valiant trades. They’re absolutely fantastic! Highly recommended. So, 2016 draws to an end. It’s been a good year for the comic. I’ve been able to work on a number of projects besides VANGUARD, including ‘Suited & Booted’ for Comichaus, Brethren Born, NESS, Punchface, Cognition, Assault on Fortress Doom and a few others. I’ve lots more planned for 2017. It’s going to an exciting year. VANGUARD issue 13 will start uploading in January. Lots of exciting stuff kicking off in this one. It’ll be good one! Once again, thanks for all your support of the years from this comic. It’s very much appreciated. I post up work and sketches daily over on my Patreon account. Go check it out! Have a great Christmas and see you in 2017. Aww! Pendragon doesn’t look quite he’s ‘in’ the Xmas spirit. 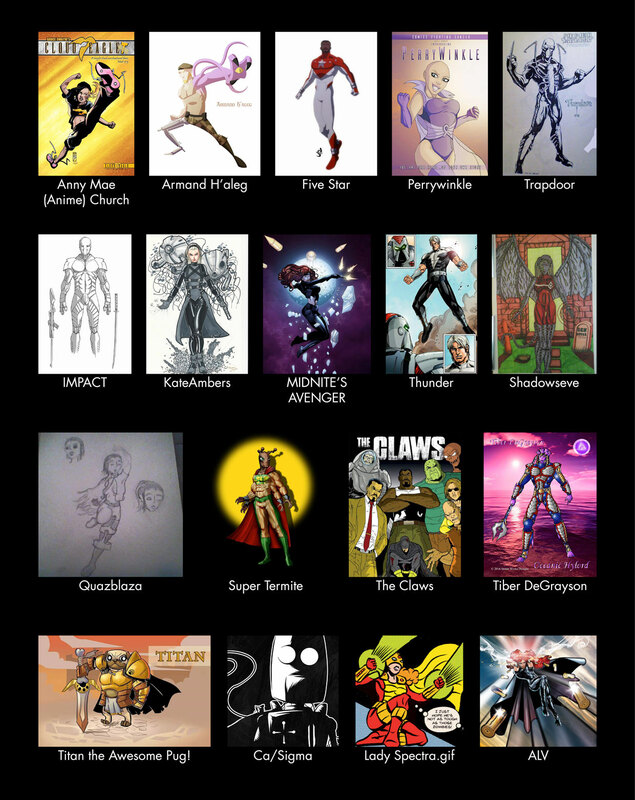 This fabulous pic was made by Shane Rivett, creator of the awesome ‘Heroes Of The World and Beyond’ comic. CHRISTMAS COMMISSION COMPETITION – The Vote! It’s Christmas time. The time to spread good cheer and shower people with gifts… and here is my gift to you! I’ll be drawing a high-res, full colour commission WITH background for the lucky winner. The winner may do what they wish with the image (use for promo, print, sell, etc. ), all I ask is that they pop me a credit when you use it. Below is the list of the characters we received. Simply cast your vote for which character I should draw. The one with the most votes wins! Voting will end on FRIDAY THE 16TH OF DECEMBER at 12:00 GMT. Good luck and get voting!